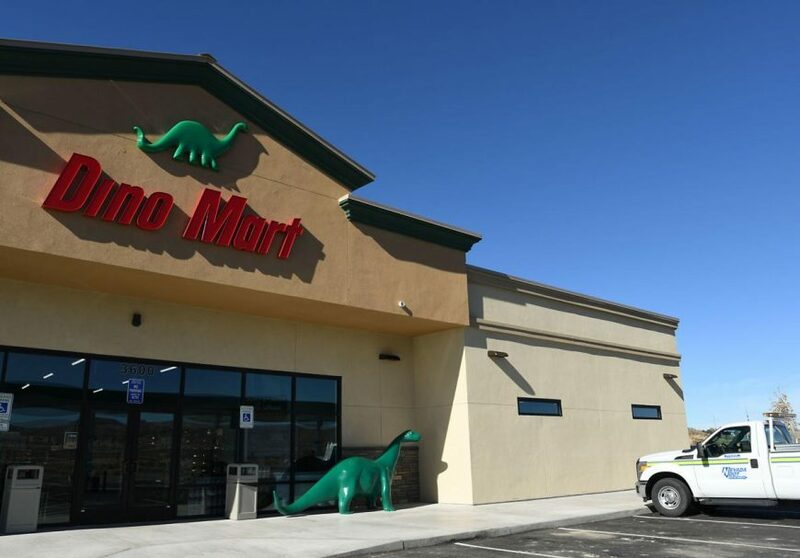 ELKO – It’s been more than half a century since Elko last had a truck stop. Golden Gate Petroleum recently opened its doors just off Interstate 80 at Exit 298. When asked why the company chose to open a truck stop in Elko, store manager Dave Collier mentioned the fact that there was no truck stop in town. The last such business to open here was in the 1950s. The new truck stop has 12 gas pumps and six high-flow diesel pumps, surely more modern machines than their 1950s counterparts. “They shoot out 20 gallons a minute,” Collier said. The facility has opened in stages, with the main store and gas pumps opening first. 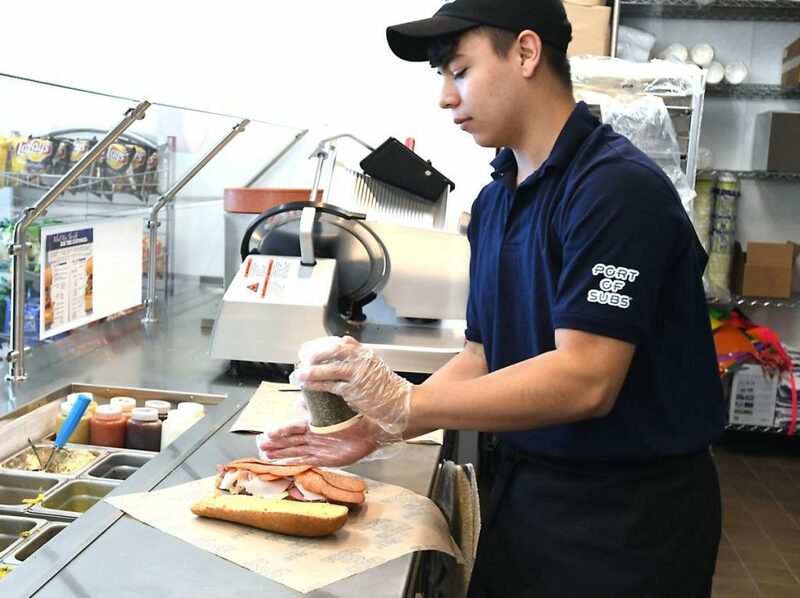 Port of Subs, which is located inside the shopping area, opened Oct. 15. The bar and casino are expected to open in December. The casino and Port of Subs are separate businesses, leasing space from Golden Gate Petroleum. The casino will have slot machines, pool tables and big screen televisions. Golden Gate is a family operation run by CEO and president Dennis O’Keefe. His wife and children also work for the operation in various capacities. 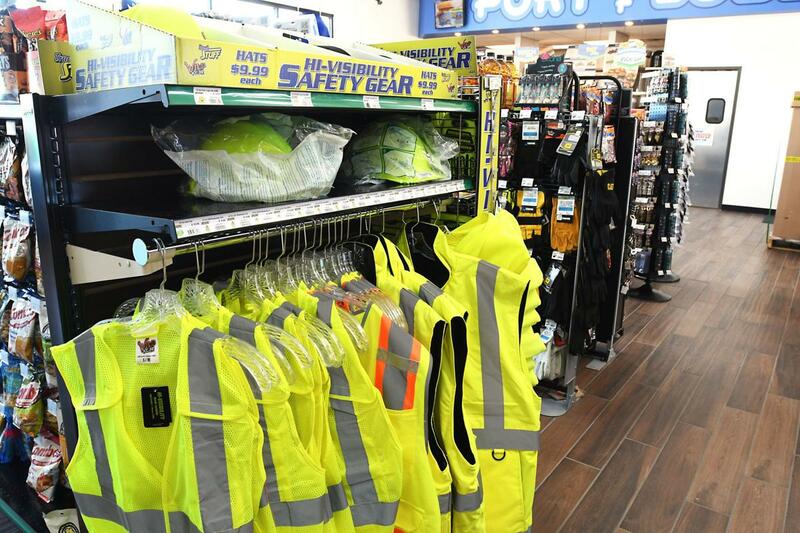 The store carries drinks, snacks and truckers’ supplies. Collier delightedly showed off the F’real drink dispenser, a make-it-yourself milkshake machine. Flavors include cake batter, cotton candy carnival and mango. The business is located near two mine parking lots and has already seen a number of workers coming in to stock up on supplies for the long day. “I’ve watched a lot of people [miners] come in and pick up,” shift lead Amanda King said. Since opening, Port of Subs has also seen a lot of foot traffic. “We provide breakfast burritos that are ready around 4 a.m.,” Port of Subs owner Robert Leonhardt said. 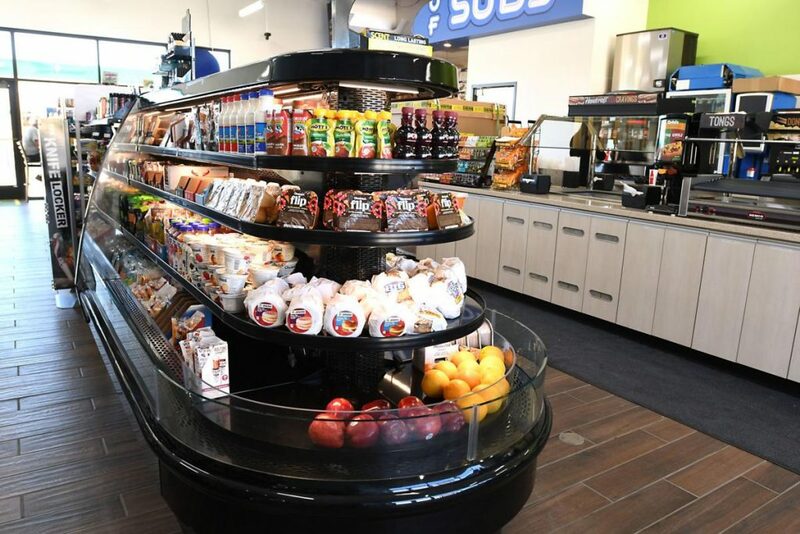 While the truck stop is open 24 hours per day Port of Subs opens at 4 a.m. and closes at 9 p.m.
“Several times a day we make our crafted-to-go items,” Leonhardt said. One whole section in the store is dedicated to these quick-pick items. Sandwiches, salads, wraps and parfaits don’t remain on the shelves long. Once the gaming area of the building is open the company plans on having a grand opening.